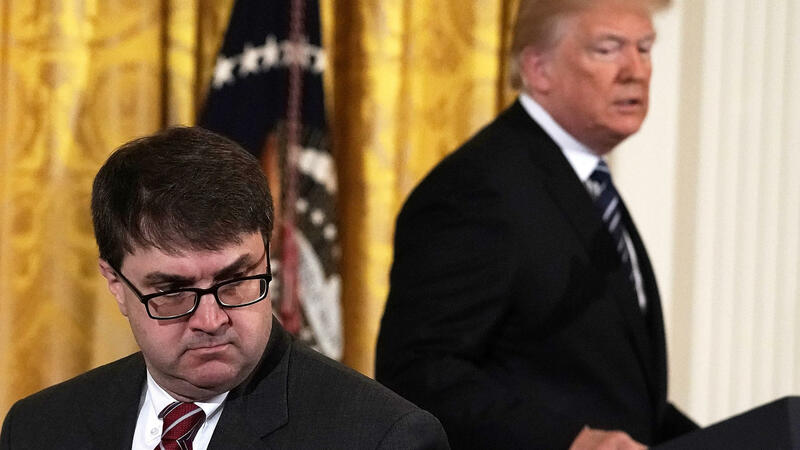 Acting Secretary of Veterans Affairs Robert Wilkie, left, is seen as President Trump announces his intention to nominate Wilkie to be the next Veterans Affairs Secretary during a summit at the East Room of the White House on Friday. "Acting secretary Wilkie, who by the way has done an incredible job, and by the way I'll be informing him in a little while – he doesn't know this yet — that we'll be putting his name up for nomination," the president said at the event. The announcement was met with applause and appeared to be wholly unplanned. Wilkie, who still holds his job as undersecretary of defense for personnel and readiness, showed no signs of having been warned, a reaction that seemed to please Trump. "I'm sorry I ruined the surprise," the president said to laughter. Wilkie has been serving as interim leader of the department since Trump fired David Shulkin, the previous head of the VA.
Veterans are hoping that is the only surprise twist in what appears to be a safe pick. "The VA has been without Senate-confirmed secretary for 51 days and we urge the Senate to schedule a confirmation hearing quickly," Denise Rohan, National Commander of the American Legion, said in a statement welcoming the news. "The department deserves strong, competent leadership at every level to ensure our veterans receive the benefits they so richly deserve for their selfless service to our great nation." Wilkie's proposed appointment comes after workplace conduct issues imploded the nomination of Rear Adm. Ronny Jackson, whom Trump had selected to fill the void after he fired Shulkin over Twitter. Jackson was almost immediately confronted with strong opposition by leading lawmakers and veterans groups who were critical of the White House doctor's lack of experience in running a large organization. But allegations that Jackson had recklessly doled out "a large supply" of opioid medications fostered a hostile work environment eventually moved the doctor to withdraw from the process. When that nomination sank, veterans organizations feared the VA could be rudderless for a long time. But Robert Wilkie, who still holds his job as undersecretary of Defense for Personnel and Readiness, has been acting like more than an acting VA secretary. He's helping shepherd a major piece of VA reform legislation through Congress and signed a $10 billion contract to reboot the VA's electronic health system just the night before he was nominated by the president. Wilkie has been running a large government bureaucracy within the Pentagon, and he already breezed through a Senate confirmation to that post. He's 55, has served in both the Navy and the Air Force reserves, and worked for several Republican administrations and lawmakers. While he's known within the federal government, he's a relative unknown in the veterans' community, which has seen 10 secretaries or acting secretaries for VA in the 17 years of war since Sept. 11. "Our members have been really clear about what they need from the next leader of VA — a committed focused person who's going to put veterans above politics," said Paul Reicoff, CEO of Iraq and Afghanistan Veterans of America. "I've been very clear with President Trump about my expectations for the next VA secretary, not the least of which is an unequivocal opposition to privatizing or in any way degrading the VA system," said Sen. Patty Murray (D-WA), a senior member of the Senate Veterans' Affairs Committee in a statement. "I look forward to reviewing Mr. Wilkie's record and hearing more about his values and his vision for the position in order to determine whether he is up to the task." While the VA has always relied on some help from private doctors, there are concerns that spending on the more expensive private care could put the department into a death-spiral, where it starves its own health budget, resulting in worse care at VA facilities, and leading to more private care spending. Currently the VA is rated to deliver as good or better quality care than the private sector in most states. Wilkie, if confirmed, will guide the VA through this question. This month Congress is expected to send the president a bill to revamp the way the department pays for private care. 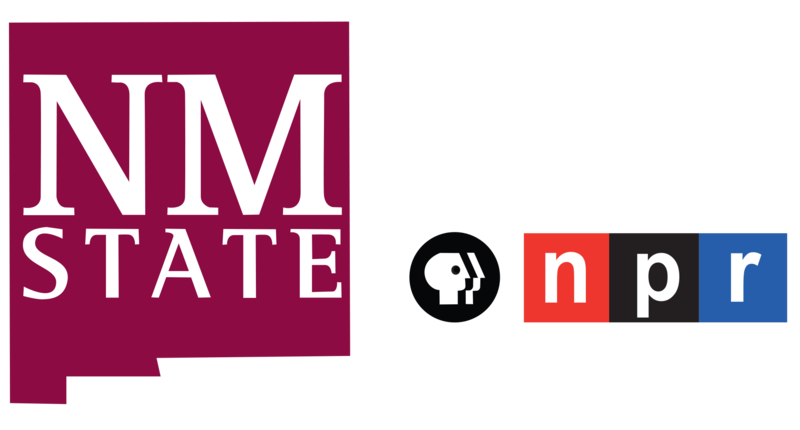 It has overwhelming support from veterans organizations, but even some of them are deeply concerned that it could be implemented in a way that puts VA on a path to privatization.